My Beatport DJ chart (January 2013) is available! 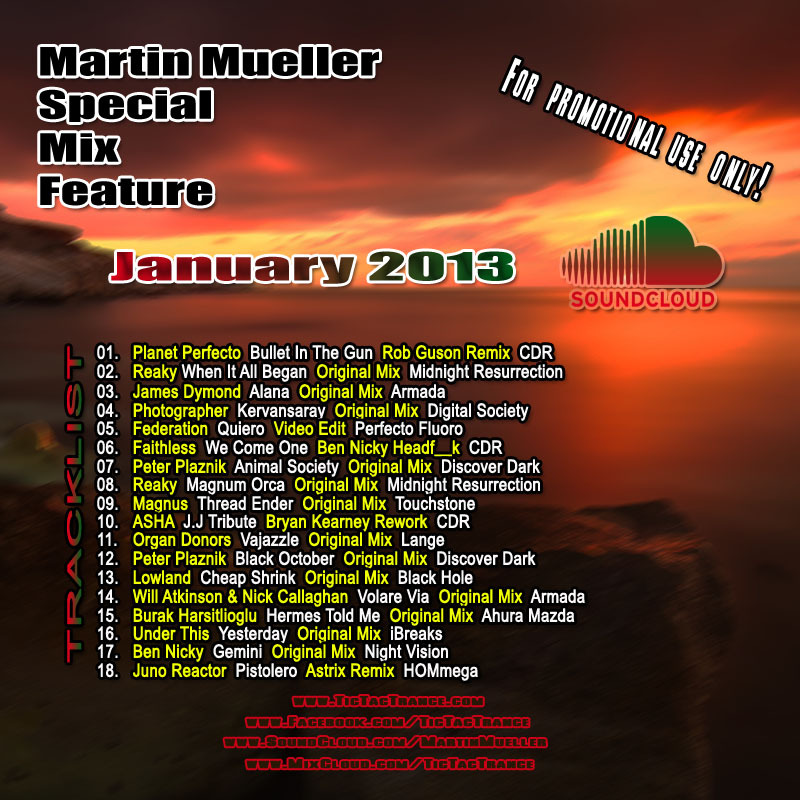 Some tunes are included in my Soundcloud Mix January 2013 aswell! 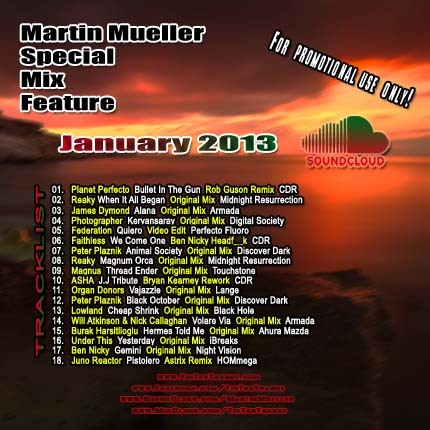 My Soundcloud Mix January 2013 is available! My Soundcloud Mix Series is back with 18 fresh tunes mixed into just one hour! 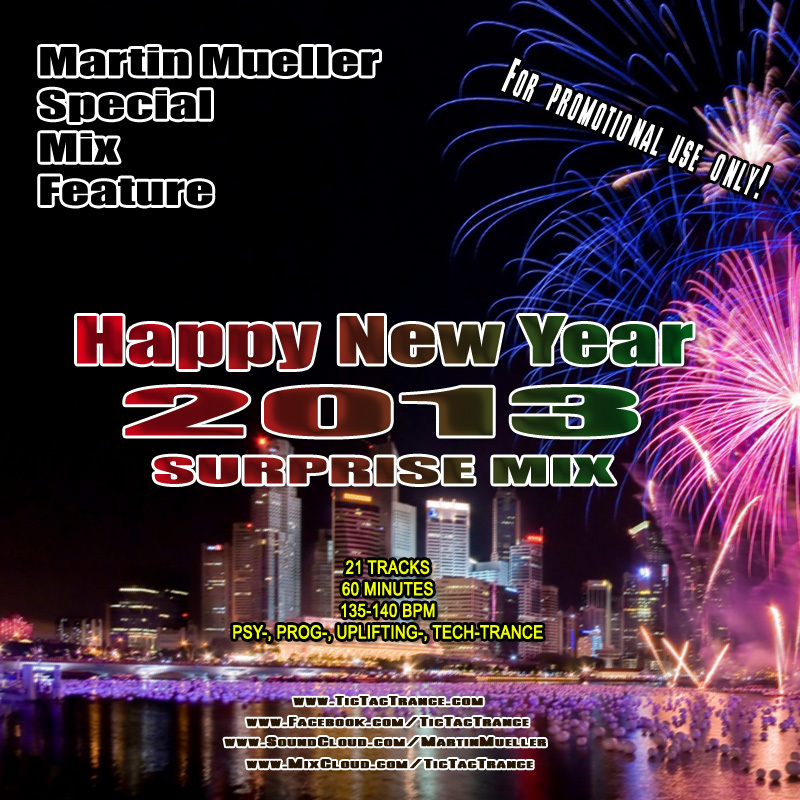 It features tunes and remixes by artists like Reaky, Ben Nicky, Peter Plaznik, Astrix, Photographer and many many more! It’s now available on my SOUNDCLOUD page. Enjoy! Tic Tac Trance #061 Replay available! Happy New Year! I hope you all had a good start into the new year and that most of your goals will be accomplished! 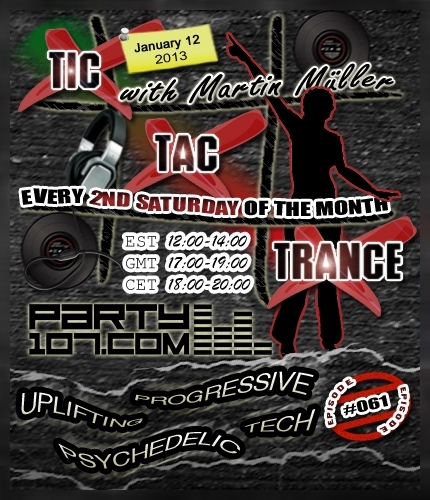 Episode #061 of Tic Tac Trance will be broadcasted on January 12 2013 on Party107 and will feature new tunes of labels like HOMmega, Black Hole, Night Vision, Perfecto Fluoro, Enhanced and many more! This time I’ve prepared a very crazy 2 hours journey which features many different styles of progressive, uplifting, psy and tech trance. Make sure to tune in! Happy New Year 2013 to everyone! I hope you had a good start into the new year. I thought what’s the best to welcome a new year? Of course: with a fresh trance mix! This time a little different without tracklist to keep the surprise factor high. 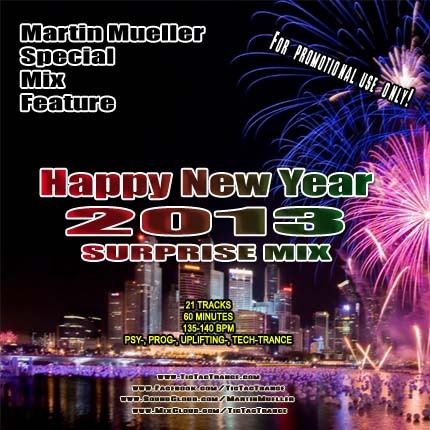 It features 21 tracks in just 60 minutes, various of trance styles. Enjoy!